Despite not getting the win they wanted, the Coventry Bears restored a load of pride in their 58-18 defeat at home to the high-flying York City Knights. 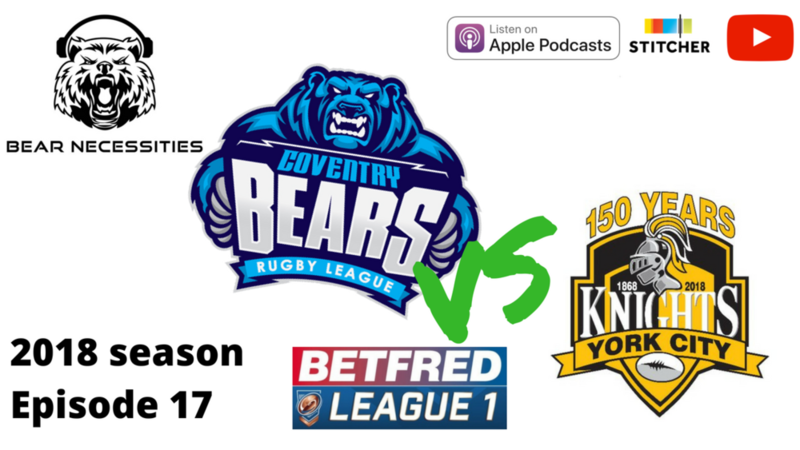 We’ve got all the analysis and reaction, including the post-match thoughts of Bears head coach Tom Tsang. Not only that, we look ahead to next weekend’s match at home to Workington, we’ve got an #AskMrC question about referees and we’re joined by rugby league historian, academic and podcaster Tony Collins, who tells us all about the history of the sport in the Midlands and in Coventry in particular.